The Thomas Fire burning landscape. When it comes to the management of American forests, Smokey Bear once ruled the roost. From his baptism in the 1940s as an orphaned New Mexico bear cub up through most of the 20th century, he epitomized the principal Law of the Forest: Thou shalt not burn. Fire was bad, and should be abolished. Trees were there for people to cut, if they wanted, not to burn. That overly simple knowledge, and the policies attached to it, changed in recent decades as evidence mounted that fire is, in fact, good for forests in a number of ways. It reduces the accumulation of fuel, so that regular, relatively low-level fires can prevent bigger, catastrophic ones; it recycles nutrients, especially in dry climates where the processes of decomposition are slow; it provides the bare ground that such sun-loving species as pines and aspens and grasses need to thrive. As a result, an increasing number of land managers have been using prescribed fires, or letting wildfires burn, for their ecological benefits. 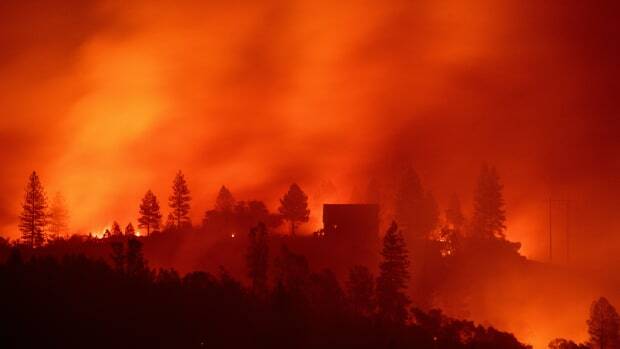 According to the National Interagency Fire Center, the extent of forest burned in wildfires in the United States annually generally averaged between one million and five million acres from 1960 to 2000; since 2000, it&apos;s been seven million to 10 million acres in most years. Prescribed fires, meanwhile, char another two million acres or so. But that increase is not due entirely to more enlightened forest management policies. Severe drought, which many climatologists have linked to human-induced climate change, has played a role. The large blazes that have resulted, such as the 2002 Hayman Fire in Colorado, at almost 140,000 acres, and the Rodeo-Chediski in Arizona, at almost half a million, themselves play a role in climate change by converting large quantities of vegetation into heat-trapping carbon dioxide and soot. They&apos;re casting doubt on the extent to which forests can be relied on to absorb at least some of the carbon dioxide produced by the burning of fossil fuels. "Enormous fires like this pump a large amount of carbon dioxide quickly into the atmosphere," says Christine Wiedinmyer of the National Center for Atmospheric Research, co-author of a recent study quantifying how much carbon dioxide forest fires emit. "They&apos;re an important part of the overall carbon cycle, and something we need to quantify better." By combining satellite imagery of burned areas with statistics about how vegetation grows and burns, Wiedinmyer and co-author Jason Neff of the University of Colorado calculated that fires in the United States on average produce 323 million tons of carbon dioxide annually, most of it from coniferous forests. That&apos;s a lot of greenhouse gas. After the study was published, Wiedinmyer estimated that the intense fires that scorched Southern California last October produced about as much carbon dioxide per day as all the fossil fuel consumed in the state. And even that is not nearly as much carbon dioxide as was emitted by huge, drought-induced forest fires in Indonesia in 1997. Those fires produced enough carbon dioxide to total between 13 and 40 percent of all the emissions from fossil fuels burned that year. In most years, the total carbon dioxide emissions from U.S. forest fires don&apos;t amount to all that much when you compare them to the almost six billion tons Americans produce annually by burning fossil fuels; they only account for about 5 percent of that total. And though the extent of U.S. wildfires has increased in recent decades, it may not be all that high from a longer-term perspective. Tom Swetnam, director of the Laboratory of Tree-Ring Research at the University of Arizona, points out that large fires are natural, and that tree rings show that extensive fires scorched Western forests many times before Smokey was a gleam in any forester&apos;s eye. "In the Western United States, we&apos;re still probably not burning the kind of acreage that burned prior to the fire suppression era," he says. "But that&apos;s not reason to be unconcerned. We&apos;ve pumped up carbon dioxide levels in the atmosphere enough that additional contributions from burning biomass may well be a problem. The aerial extent of fire isn&apos;t the concern. It&apos;s the high severity of many areas that are burning now. 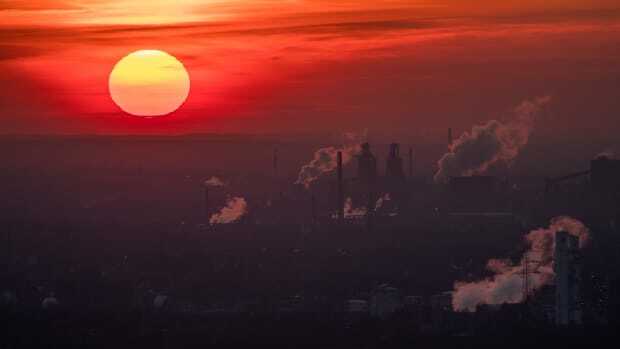 It may well be that the exceptional high-severity events that we&apos;re seeing now, especially in the Southwest, are producing far more carbon than was produced in the past." Indeed, it&apos;s Smokey&apos;s very success that poses a problem for American foresters. After the clear-cutting excesses of the settlement era, the practice of fire suppression was enormously successful for many decades. It allowed U.S. forests to regrow and to accumulate enormous stores of carbon. But now, with fuel loads high and drought common, those forests are poised to burn—and to release their stored carbon into a warming atmosphere. To some scientists, it is the connection of forest fires to drought that is particularly worrisome: Climate change appears to be drying up many forested areas in North America, and dry forests are much more likely to burn than wet ones. "If these emissions are that large, and if we go into more intense droughts in the West, there&apos;s a nasty feedback loop," Neff says. "It&apos;s attractive to think that the biosphere is a carbon sink. But the problem is the stability of those systems. 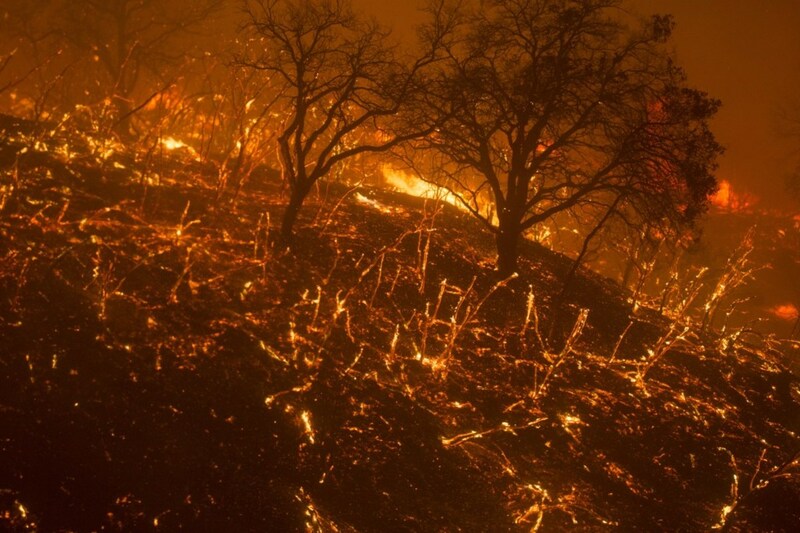 If your forest burns, then all the carbon is gone." Does this mean that less fire, not more, would be a good prescription for the nation&apos;s forests? Not likely. Most North American forests are primed to burn at some point, even moist coastal or boreal forests that don&apos;t burn often. It&apos;s an axiom of fire suppression that stopping fires works only for a while. Suppressing one fire means that fuel remains on the ground, ready to burn some other year. Prescribed fires do emit carbon dioxide; Wiedinmyer and Neff report that deliberately set fires in the Southeastern states account for two-thirds of that region&apos;s forest-fire carbon contribution. But those fires probably provide a net benefit because they reduce the future likelihood of large fires, which on average produce more carbon per acre because they burn a larger percentage of the available fuel. 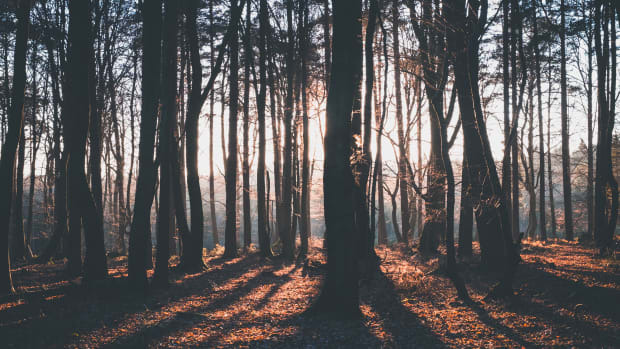 Still, Wiedinmyer says, the growing understanding that forests can themselves contribute significant amounts of greenhouse gases to the atmosphere may ultimately result in some policy changes. "You might have controlled burns in cooler, less windy conditions," she says, "when you have lower emissions of carbon." Peter Friederici is an award-winning freelance journalist who writes about science, nature, and the environment from his home in Arizona. His articles, essays, and books tell stories of people, places, and the links between them. Younger plants are able to extract carbon from the air and incorporate it into their biomass more quickly than mature trees. 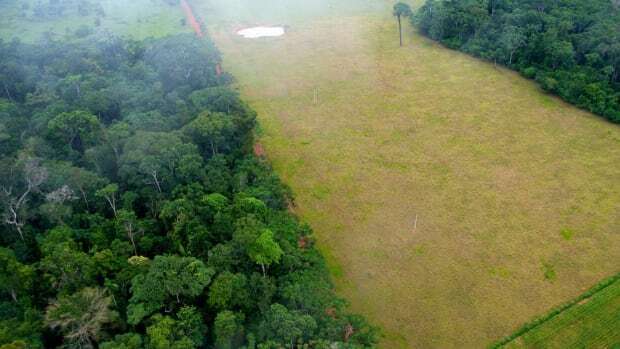 Forest conservation is crucial to climate change mitigation. But do we have any idea how to do it? In the Year of Forests, researchers look to save them, and have them save us. Individual states are taking occasionally painful steps to rein in emissions.